The church basilica port (Βασιλική του λιμένος) was built in the fifth or sixth century AD: it was probably one of the first buildings erected Christians on the island of Kos , where Christianity had was established in the fourth century, as evidenced by the participation of the bishop Meliphron Kos sessions of the First Ecumenical Council held at Nicaea in Bithynia in 325. Port the early Christian basilica was a building with three naves separated by columns of granite was smooth, the church was covered with a roof wood framing. The nave, which was the largest, ended by a semi-circular apse at the east end. 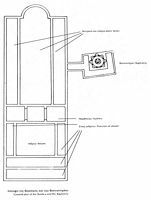 At the entrance to the church was open atrium surrounded on three sides by porticos, the west porch being double colonnade. Since the atrium staircase on the side leading to the tripartite narthex. The church itself (naos) had a mosaic floor. On the right side was a baptistery. The basilica had a length of 62 m and a width of 23.5 meters, making it one of the largest basilicas in the Mediterranean at the time it was built. The basilica, whose foundations are preserved, was built on the remains and materials of the stoa of the port and the pier is, that had been filled to create an artificial embankment, so that the church dominated the harbor area . Almost a millennium later, the ruins of the basilica served as career Knights Hospitaller of St. John for the edification of Nerantzia castle and wall fortifications of the medieval village. Found columns of the basilica in the ceilings of exterior and interior entrances to the castle. 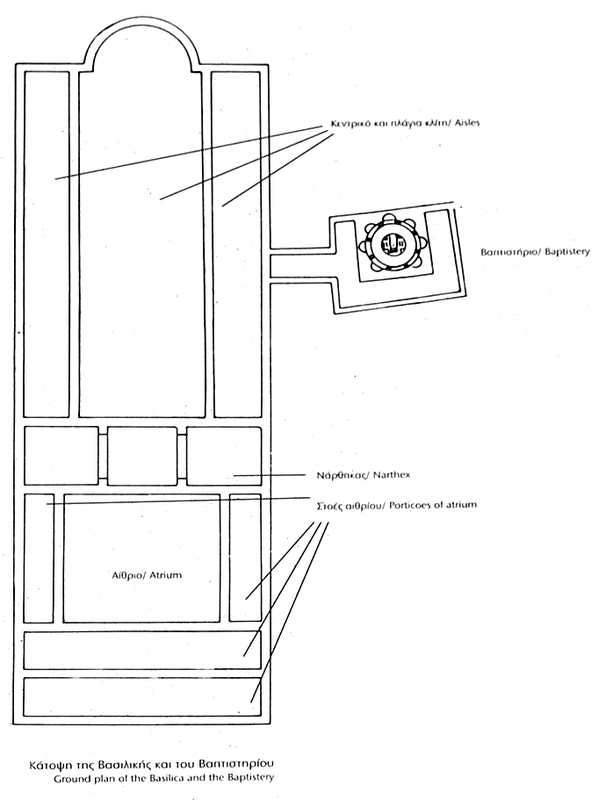 A basilica church was found in the archaeological area of the west . It was built after the earthquake of 469 AD, where was the frigidarium (cold baths) of Roman baths from the west . The church had three naves, is to a large semi-circular arch which included an amphitheater where the clergy sat. The altar was supported by five columns cone which you can still see the foundations today. The basilica was probably destroyed by the earthquake of 554 AD. Another basilica was in the archaeological area of the west . It was built after the earthquake of 469 to the location of the caldarium (hot bath) of Roman baths from the west . Building only a few architectural features have been preserved, but many pieces of marble, including the impressive pulpit, are stored inside the Castle of the Knights . The floor of the basilica shows fragments of well-preserved mosaics, however the most beautiful of these mosaics have been transferred by the Italians in the Palace of the Grand Masters Rhodes . South of the Baptistery basilica is a cylindrical shape. These baptismal font were restored under Italian rule . 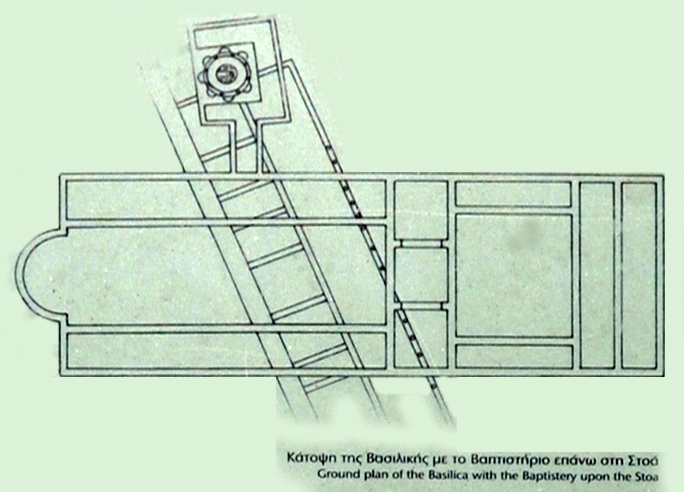 The basilica and baptistery were probably destroyed by the earthquake of 554 AD. 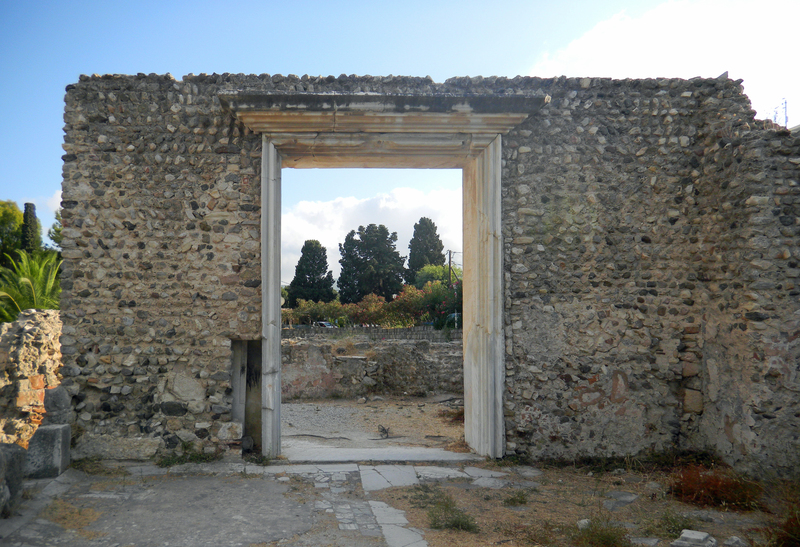 Go to page History of Kos in the Byzantine Empire .